Ask for login at desk. Cats are highly intelligent creatures that are very sensitive to the world around them. They need stimulation, play, love and your time, just like any pet. for cat families to make good decisions and also save money on veterinary care. live a longer, better and healthier life. Read more about wellness care at The Cat Practice. Each cat is an individual with his or her own distinct personality and heredity. 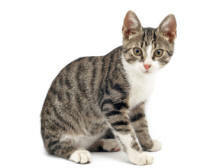 With the right care and early detection, many cats are living 20 years or more. Ingredients you WANT to see in your cat's food. Should you bring kitty along? What you should avoid to keep kitty safe. Site Map • Home • About Us • Copyright 2017 • The Cat Practice PC® • All Rights Reserved.